The McDonnell Douglas F-4 Phantom II is a tandem, two-seat, twin-engine, all-weather, long-range supersonic jet interceptor fighter/fighter-bomber originally developed for the United States Navy by McDonnell Aircraft. It first entered service in 1960 with the U.S. Navy. Proving highly adaptable, it was also adopted by the U.S. Marine Corps and the U.S. Air Force, and by the mid-1960s had become a major part of their respective air wings. The Phantom is a large fighter with a top speed of over Mach 2.2. It can carry over 18,000 pounds (8,400 kg) of weapons on nine external hardpoints, including air-to-air missiles, air-to-ground missiles, and various bombs. 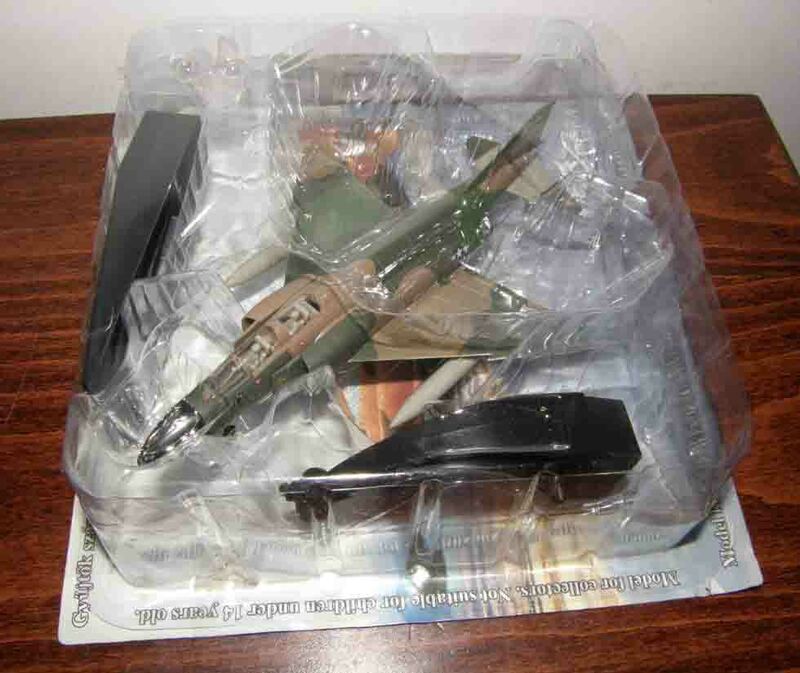 The F-4, like other interceptors of its time, was designed without an internal cannon. Later models incorporated a M61 Vulcan rotary cannon. Beginning in 1959 it set 15 world records for in-flight performance, including an absolute speed record, and an absolute altitude record. 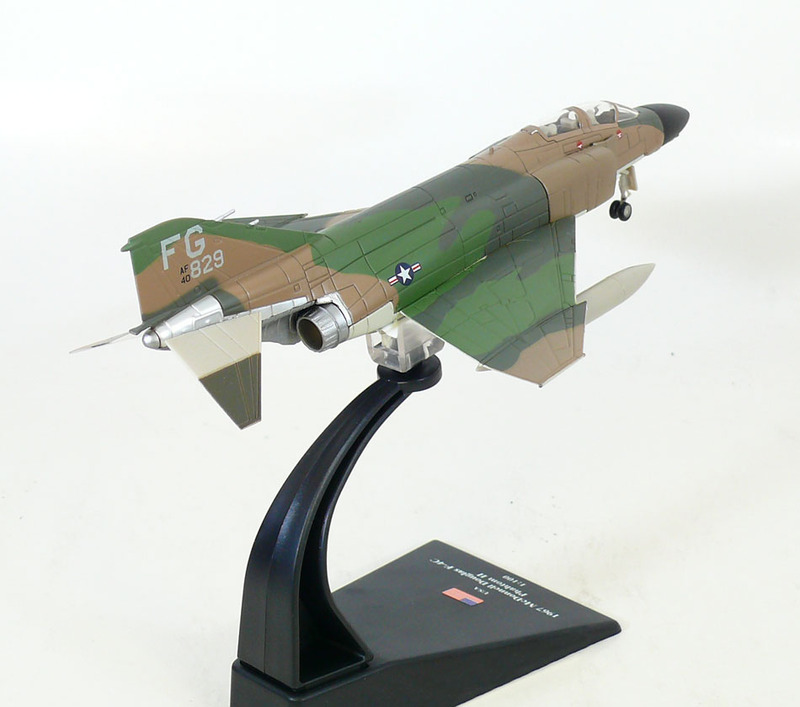 During the Vietnam War the F-4 was used extensively; it served as the principal air superiority fighter for both the Navy and Air Force, and became important in the ground-attack and reconnaissance roles late in the war. The Phantom has the distinction of being the last U.S. fighter flown to attain ace status in the 20th century. During the Vietnam War the USAF had one pilot and two weapon systems officers (WSOs), and the US Navy one pilot and one radar intercept officer (RIO), achieve five aerial kills against other enemy fighter aircraft and become aces in air-to-air combat. The F-4 continued to form a major part of U.S. military air power throughout the 1970s and 1980s, being gradually replaced by more modern aircraft such as the F-15 Eagle and F-16 in the U.S. Air Force; the Grumman F-14 Tomcat and F/A-18 Hornet in the U.S. Navy; and the F/A-18 in the U.S. Marine Corps. The F-4 Phantom II remained in use by the U.S. in the reconnaissance and Wild Weasel (suppression of enemy air defenses) roles in the 1991 Gulf War, finally leaving service in 1996. It was also the only aircraft used by both U.S. flight demonstration teams: the USAF Thunderbirds (F-4E) and the US Navy Blue Angels (F-4J). The F-4 was also operated by the armed forces of 11 other nations. Israeli Phantoms saw extensive combat in several Arab–Israeli conflicts, while Iran used its large fleet of Phantoms in the Iran–Iraq War. Phantoms remain in front line service with seven countries, and in use as an unmanned target in the U.S. Air Force. Phantom production ran from 1958 to 1981, with a total of 5,195 built, making it the most numerous American supersonic military aircraft.